Daniel E. Kelm has a keen interest in the history of chemistry and is an avid collector of chemical and physical apparatus. He re-creates historical scientific experiments and lab environments, and offers services as a consultant to museums creating videos and installations. He may also be engaged to provide a demonstration and lecture in a public venue. Poetic Science offers a way of being in the world that celebrates relationship and connection. It crystallizes a broad approach that I have developed in my life and work. By combining the perspectives of art and science it moves to unify what is commonly thought of as separate. Through this fusion of body and mind, heart and head, matter and spirit, we are able to enter into a more intimate relationship with materials. And, having learned to distinguish their characteristic rhythms, ask them each to lend their unique personalities to the expressiveness of our work. Content will be added regularly to this site. We’re just getting started! If you would like to be on Daniel Kelm’s email list and receive occasional announcements please email us at daniel.kelm@mac.com. 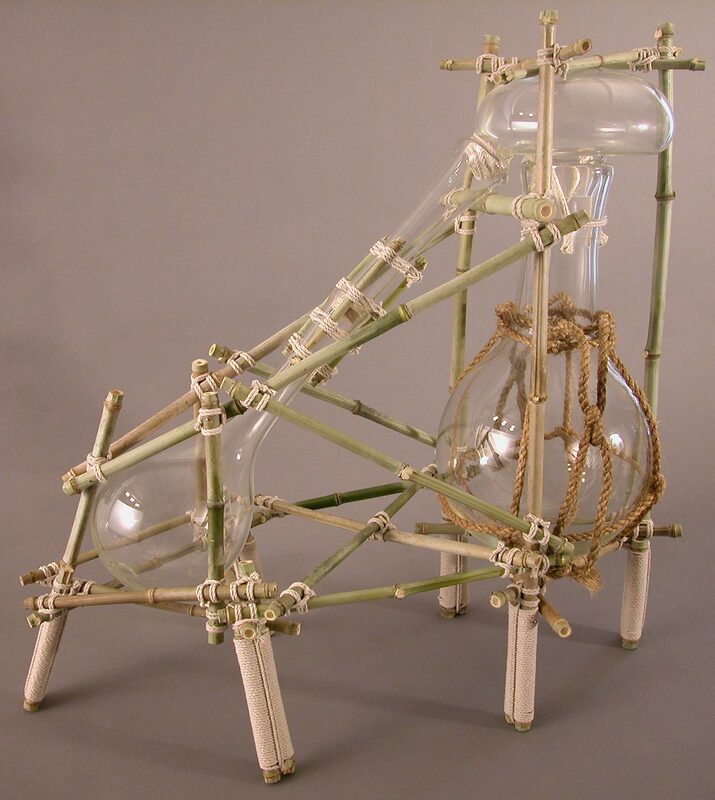 Bamboo and glassware sculpture, set up to display distillation. 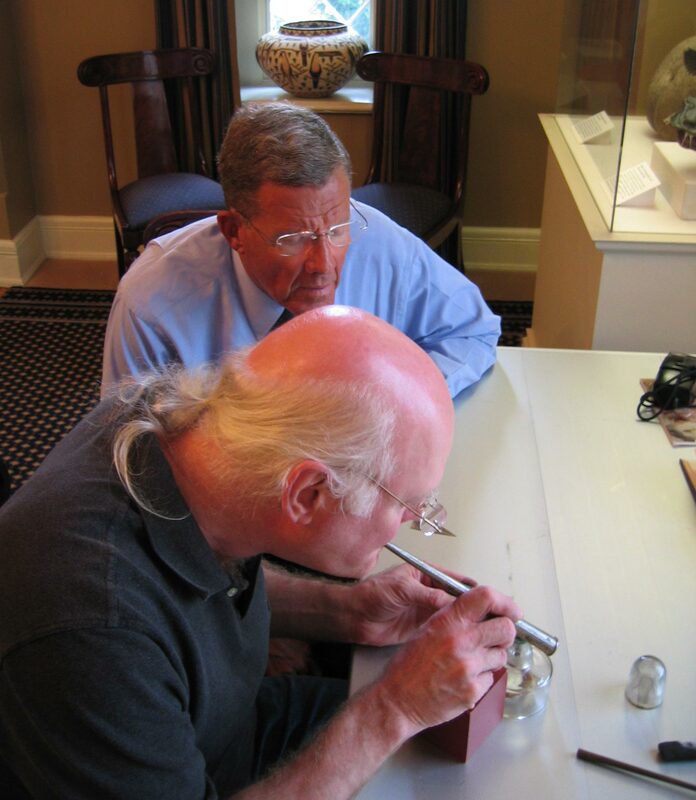 Daniel demonstrates blowpipe analysis of metallic ore for the secretary of the Smithsonian Institution. 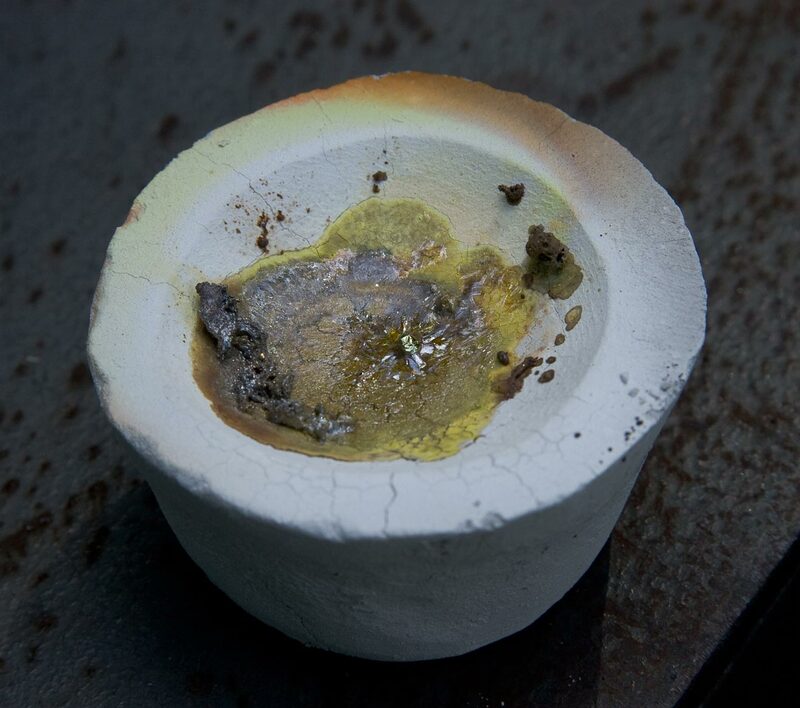 A bead of gold is separated from the dross in the process called cupellation.